A while back, Frommer’s highlighted some of the best beaches in the world to sleep on. As one might suspect, most were your typical, oceanfront paradise options. But snuck into the mix was also one we couldn’t agree with more: The Grand Canyon. 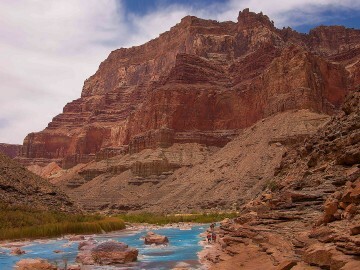 Yes, that’s right, the Grand Canyon has some of the best sandy beaches in the world surrounded by some of the most surreal scenery you can get. And the best part? You can only get to them by boat. But the Grand Canyon isn’t alone. 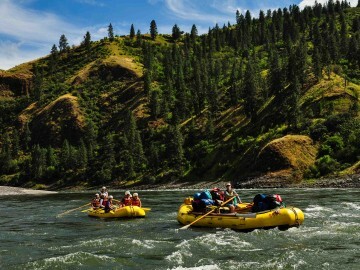 There are a ton of rivers that offer stunning, secluded beaches that few people get to step foot on each year. They are little slices of paradise that you would never expect. And we’re going to reveal them here. 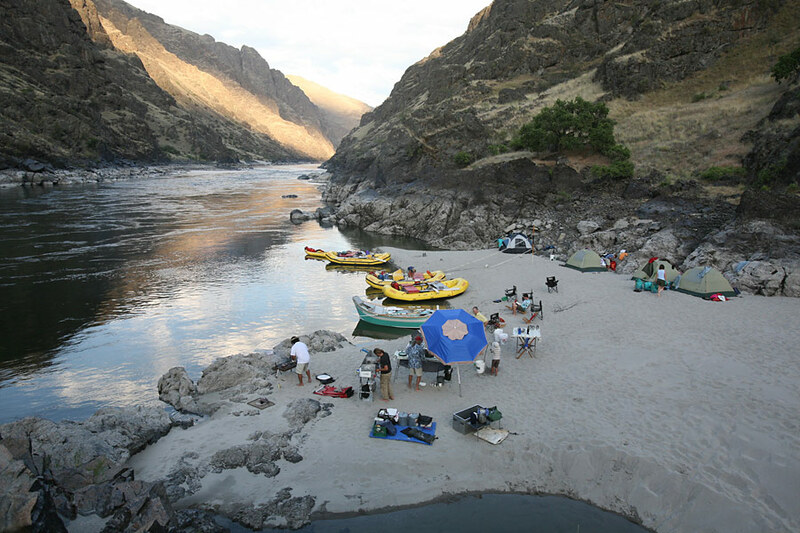 Scenery is key at this Lower Salmon River beach spot that’s also ideal for family fun. This enormous sandy beach offers not only a wonderful view but lots of options as to how you’d like to spend your day at camp. There is lots of room for campers to spread out and “claim” their river front property. The beach also doubles as an outstanding volleyball court or bocce ball arena. And of course something must be said about the big calm eddy that invites you to try out an SUP board, start a ducky war or just go in for a cool down. 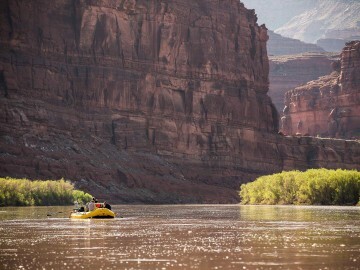 One of the favorites on a Cataract Canyon rafting trip, boaters fight hard to make their way to Brown Betty before others claim this ideal spot. 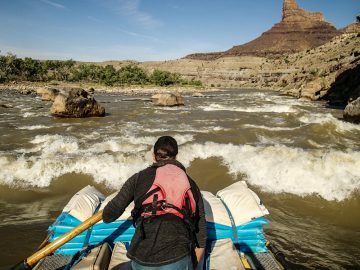 Brown Betty is a vast expanse of dunes at the bottom of the very first rapid in nearly a hundred river miles, with the soaring and portentous cliffs of mighty Cataract Canyon tilting upwards towards a searingly violet sky. 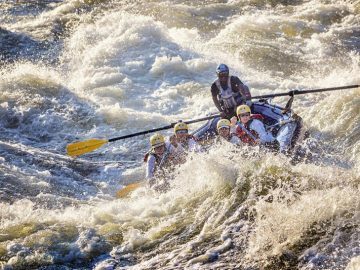 You’re excited about the huge rapids to come, but want to hang a while to hike to the magical sandstone turrets of The Maze and the Doll House, which of course ups the adrenaline. This is the real deal. It’s so pristine you could go for a walk in the moonlight to the end of the earth, and never stub your toe. Already mentioned above, we couldn’t leave the Grand Canyon off of our list. 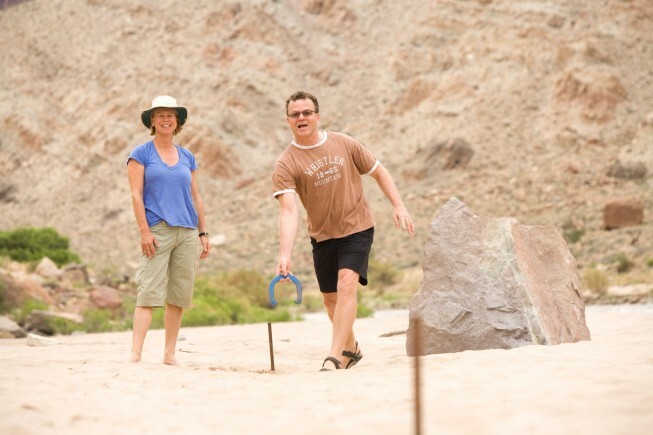 Nothing in the world is quite like having your boat tied to a sand stake pounded to its hilt in fine-grained sand, gently rocking in the calm eddy of one of the most prized catches in the Grand Canyon: Grapevine Camp, mile 83. The roar of Grapevine rapids is just downstream, echoing off the darkening schist cliffs of the Upper Granite Gorge. Your heart is at ease, your spirit soaring with the ravens, your anticipation of more huge rapids on the morrow, and if you’re lucky your belly is full of Dutch-Oven baked brownies with crushed walnuts. 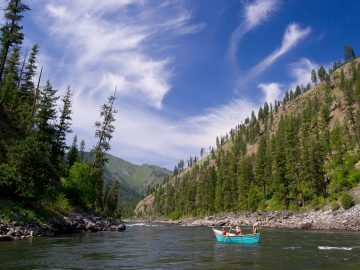 There are lots of pristine beaches on the Main Salmon River, but this one makes the cut for being a secluded paradise with stellar fishing. This hidden, large beach is a favorite among anglers due to its proximity to Warren Creek just upstream of camp. But if fishing is not your thing, you have plenty of other options at this secluded beach. 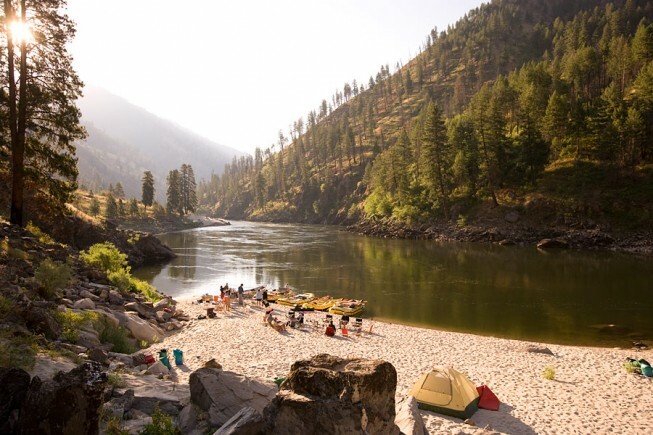 Its space provides lots of room for finding solitude at your tent, partaking in beach games, heading out for a hike or going for a dip in the calm eddy nearby. With glacial blue waters and snow-capped peaks in the distance, it’s a different kind of beach experience. But one that’s worth the trip. 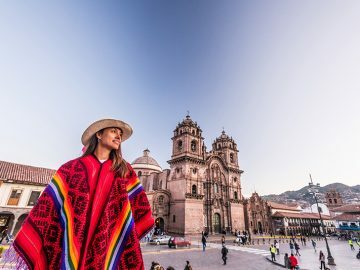 The views are bigger than any! A special thanks to river guides Jeffe Aronson, Codye Reynolds, Gena Moore, and Ote Dale for contributing to this piece.